IOTAS is a smart home IoT (Internet of Things) platform that integrates hardware with software and was designed as an enterprise level integration platform for MDU’s. 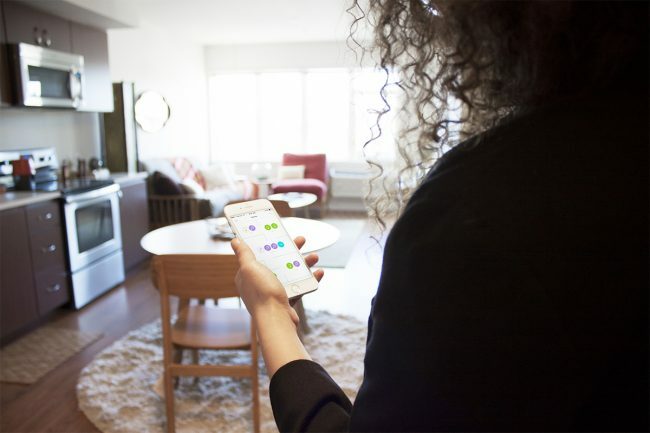 We digitize properties from units to common spaces with smart outlets, switches, sensors, thermostats, locks, and our (2017 CES Innovation Award winning) universal smart hub, all before the residents move in. We’re fully voice enabled (Echo) and our platform allows for property future proofing with new products to be seamlessly added to each unit. We outfit both new construction and retrofits from the units to the common spaces and are hardware agnostic. The platform is then plug-n-play ready for residents upon move in with their app specific to their unit, which includes a floor plan with touchscreen control as well as machine learning smart stories which includes automation of activities. Property managers can oversee their community data and manage/control vacant units with a push of a button.